An unassuming brick building next to the Sears Hometown Store in Scappoose was approved to be the new home of a glow-in-the-dark mini golf course and arcade center. 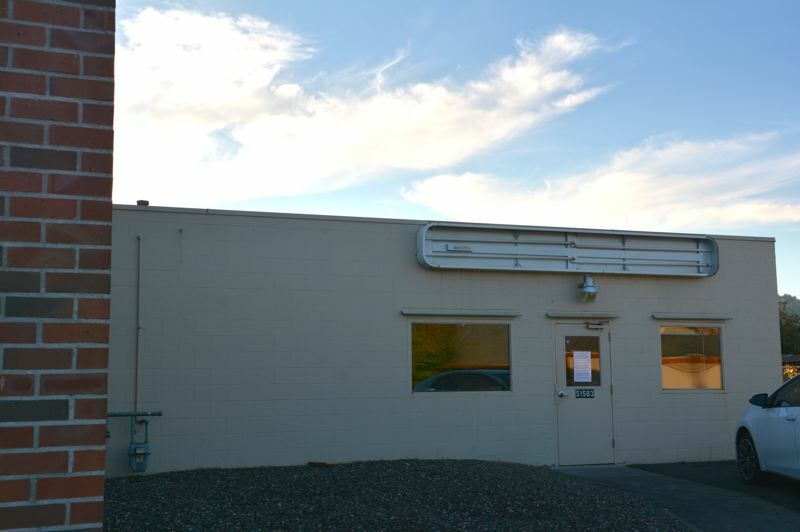 Glowing Putters, a former office space soon to be converted into a 3,000-square foot children's activity center, was approved unanimously Thursday, Oct. 11, by the Scappoose Planning Commission. The business will occupy former office space next to Sears Hometown Store on Highway 30 in Scappoose. Because the site was formerly used as office space and will now be used as an amusement arcade and indoor sports facility, planning commissioners were convened to review the modification in building use and approve a permit. "I thought it would be great for the town and community because the kids had nothing to do," Lorene Bridgeman, co-owner of Glowing Putters, told commissioners. As planned, the space would offer an indoor black light mini put-put golf course using glow-in-the-dark putters, along with a small arcade and activity room for parties. Glowing Putters owners say they also intend to sell snacks and soda on site. Bridgeman, who said she plans to keep her career as a nurse, said she and her husband plan to operate the business Thursday through Sunday. "This I feel is needed in the city of Scappoose to facilitate better use of recreation for children and adults," Bridgeman wrote in a site activity statement submitted to the city. While Bridgeman said she'll do whatever is needed to get the business up and running, she lamented the permitting process. "I've had to hire an architect and engineer," Bridgeman told planning commissioners. "This is many thousands of dollars into this, at least $10,000 so far that was not anticipated on top of another $10,000 to 15,000, in order for this business to be open." Bridgeman said she wasn't expecting to have to pay for a traffic study, put in new landscaping or fencing, or modify the building's roof to meet fire codes. Planning commissioners advised that changing the use of the space from an office to a recreational site triggered extra requirements, like reducing the impact of headlights from the business to a nearby home during evening hours. to say the least," Bridgeman said. "I know it can sound rough, but this is 'the' opportunity the city has to bring things up to current code," Commissioner Scott Jensen told Bridgeman. "It's really a safety thing." Planners eventually agreed to waive the screening requirements that would have required either a fence or trees to be added along the perimeter of the site to shield car headlights from neighboring properties at night. The condition won't be required unless the city receives a complaint within the first 12 months.